Hardback, 9 x 11 in. / 120 pgs / 60 color. Since the early 1980s, Anish Kapoor's investigations into objecthood, materiality and gravity have explored the concept of the void, or "objects becoming space." His sculptures, installations and public art test the phenomenology of space and have historically been characterized by intensely tactile or reflective materials--like colored pigments, wax, fiberglass, polished stainless steel and PVC--that resist any narrative reading. This volume documents Kapoor's 2008 commission for the Deutsche Guggenheim, which travels to New York in 2009. Conceived as an intervention in the galleries that prevents any one complete viewing or experience of the work, and fabricated of Cor-Ten steel with industrial hinges and flanges exposed, the work tests the boundaries between sculpture and painting. It is considered in this volume through the lenses of philosophy, structural analysis and postcolonial and architectural theory. In addition to ample color reproductions of the work itself, this volume includes preparatory sketches and architectural renderings. Artwork by Anish Kapoor. Edited by Germano Celant. Contributions by Anna Costantini. 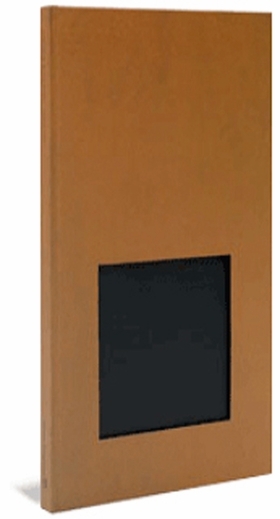 FORMAT: Hardback, 9 x 11 in. / 120 pgs / 60 color.